It’s been more than a year since Heather and I started NuestroCamino. Our original plan had been to finish and bring it to ArtPrize in Grand Rapids, MI in September 2017. Well the Universe (or God or whatever you call it) had other plans for us. We were unable to secure a venue for ArtPrize which was a very big disappointment for us. Fast forward to August 2017 and it became very clear why things worked out the way they did. Our dad got sick at the end of August and we were able to be there with him for his last few months of life. You never get over the loss of a parent. You just learn to move forward and live with the hole. For Heather and I, this means getting back to NuestroCamino. As of May 31st, not only has Heather completed the design of all 70 pieces but she has completely finished 28 of them. 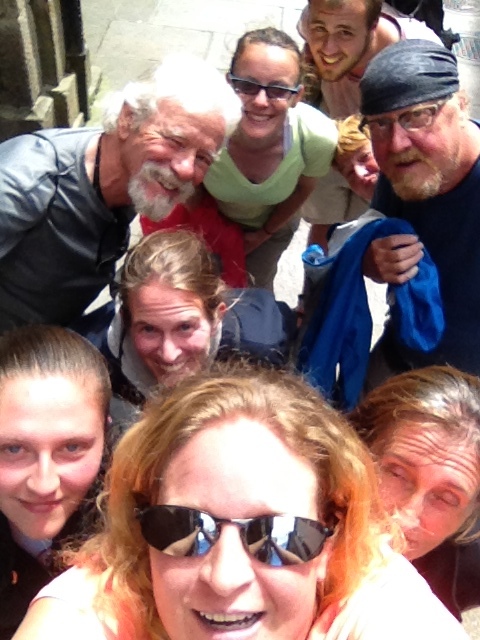 I am getting back to the fund-raising part of it and going out in search of stories from our fellow pilgrims. If you’d like to donate, any amount is appreciated: NuestroCamino GoFundMe. And if you’re a fellow pilgrim, we’d love to hear your story! 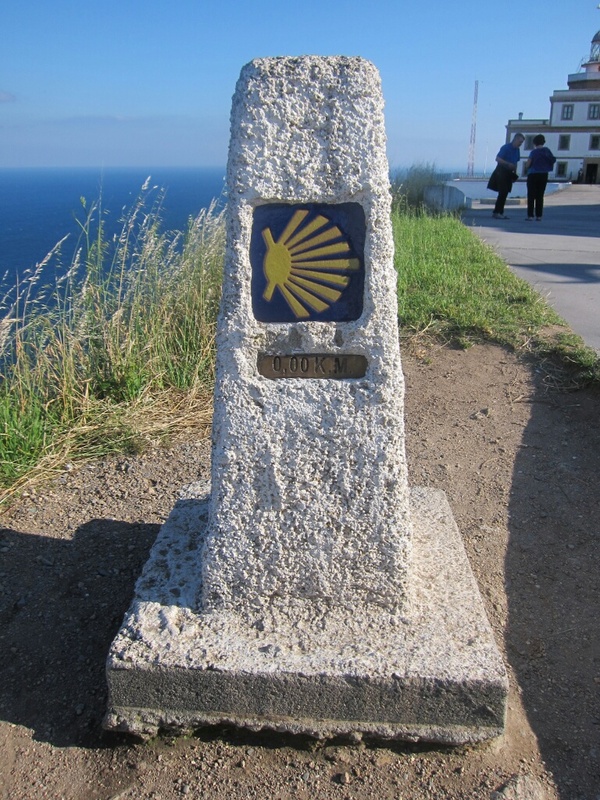 Check out “Calling All Camino Pilgrims!” for the details on how to contribute to the project. As mentioned in my previous blog, my sister Heather and I are collaborating on an art project about our Camino experience: NuestroCamino. I am happy to report that there has been lots of progress! Heather has completed the first 16 pieces and I have been busy with fundraising research, creating postcards with information about the project and pulling together details on how our fellow pilgrims can include their stories as part of NuestroCamino. 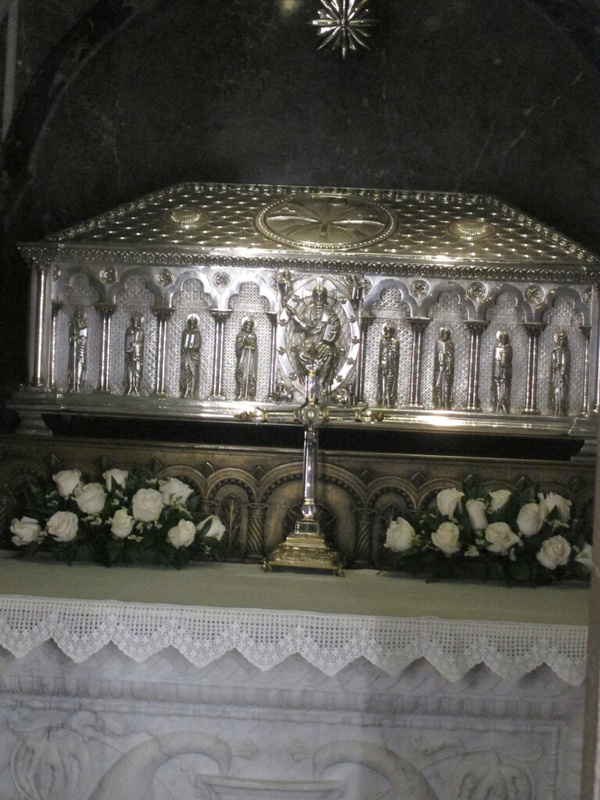 If you’re reading this and you’re a pilgrim, you’re probably wondering, “What are those details?” Thank you for asking! 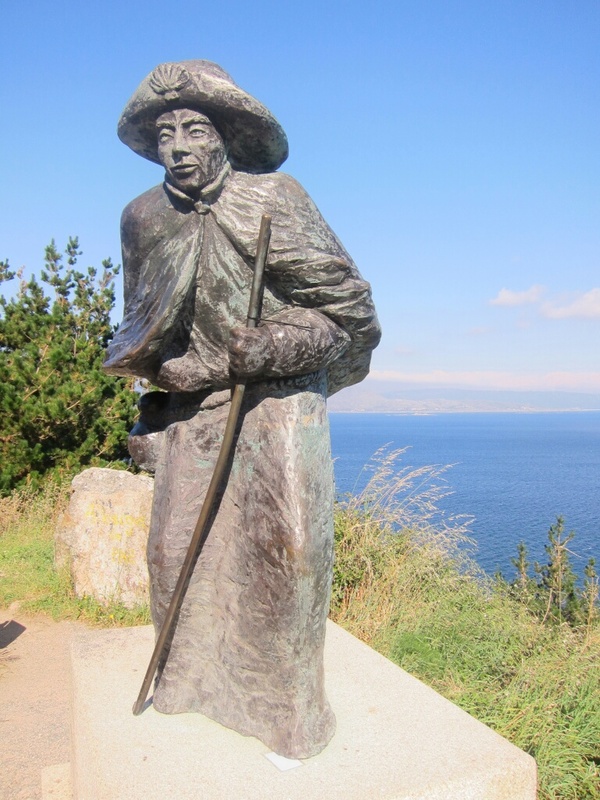 What inspired you to walk the Camino? 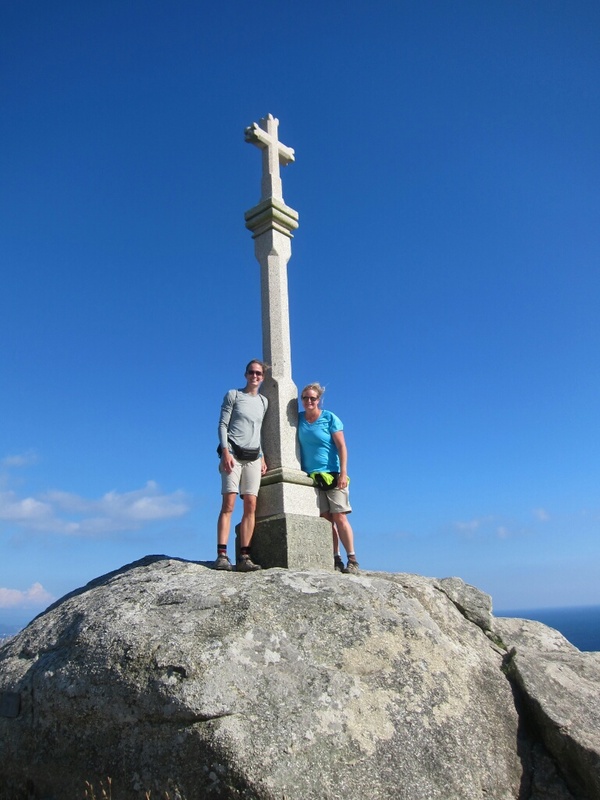 What did you learn while walking the Camino? 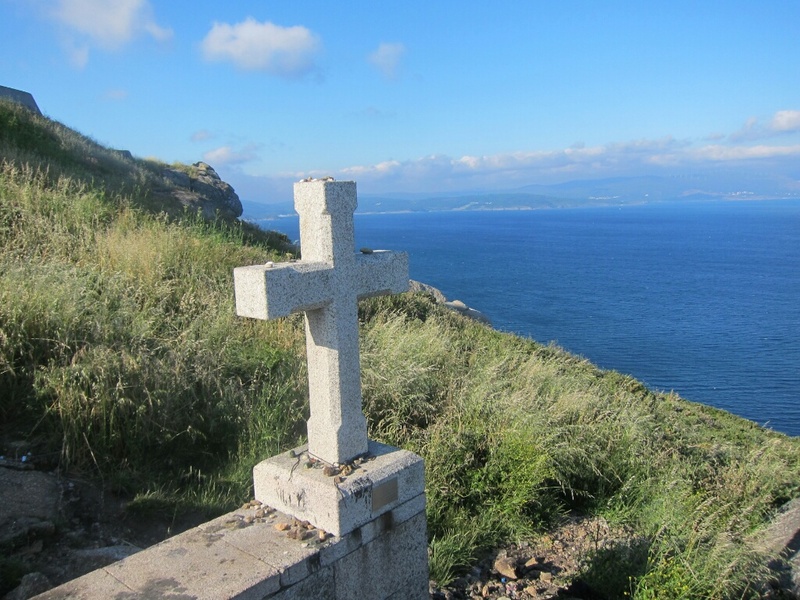 Did you learn anything once you returned home from the Camino? 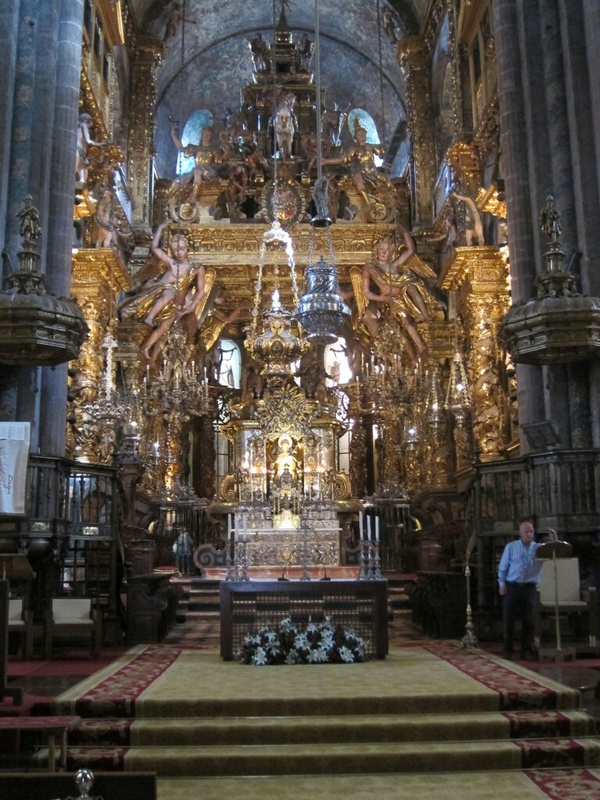 What’s your favorite memory of the Camino? 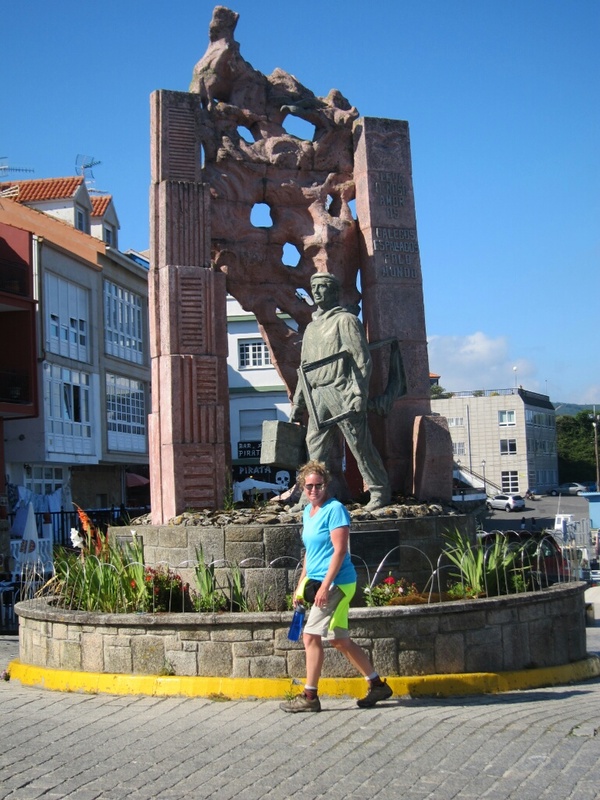 What was the most challenging part about the Caminoe? 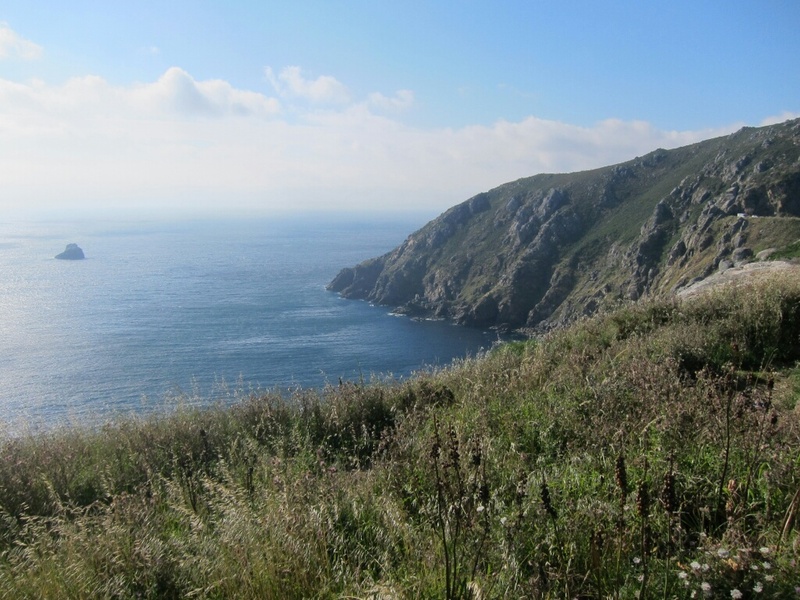 Would you recommend the Camino to others? Once you’re done with the video, e-mail it to nuestrocamino@HeatherHarrisArt.com with a completed and signed video release form (PDF). (The completed and signed form can be a scan or a photo.) We will be compiling all of the videos to tell the story of NuestroCamino. You can also find all of these details on NuestroCamino: How Can I Be Involved? We look forward to seeing those videos! 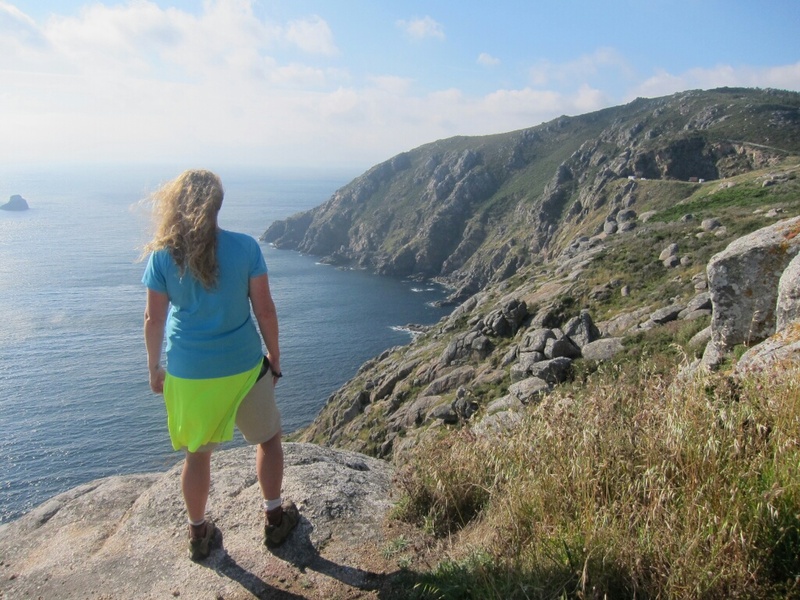 It’s been almost 3 years since my sister Heather and I walked the Camino. In 2017 we’ve decided to work together on an art project. We are calling it NuestroCamino. 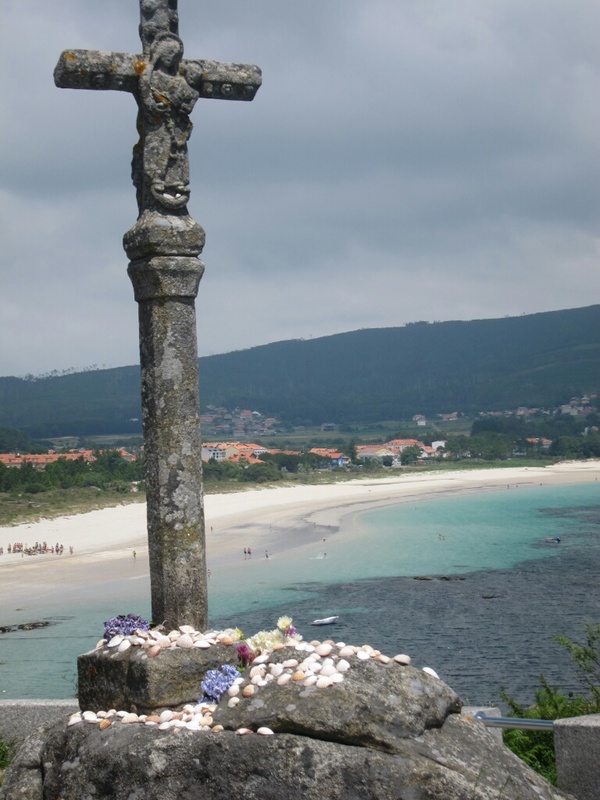 In the fall, we want to bring NuestroCamino to ArtPrize in Grand Rapids, Michigan. ArtPrize is an international art competition held annually and unlike traditional competitions, ArtPrize artists are judged by the public and by a jury of professional artists. Heather is the older sister by three and a half years and is an award-winning artist . Her most recent creations combine digital photography and images with welded frames that extend the image. She is multi-talented, able to capture and manipulate her own world through the camera, computers, and metal sculpture. 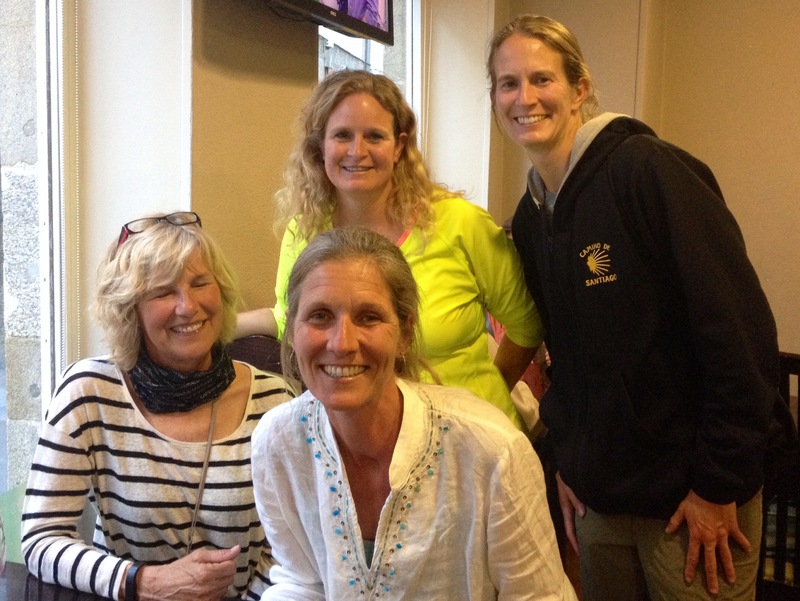 Even though I am the younger sister, we often joke that birth order descriptions have us reversed. I’m best described as organized, detail oriented and practical. Between the two of us, we offer a very complementary set of skills and that’s why we are excited to work on NuestroCamino together. We’ve set up a GoFundMe campaign to help with the cost. All donations are appreciated and will ensure that we can bring NuestroCamino to completion. We are very excited to be able to share our journey with everyone! You can follow the creation of NuestroCamino in the NuestroCamino Facebook album and find out more about the project on NuestroCamino on Heather’s web site. Here’s an 11 minute look at our 36 day 500 mile walk across Spain this past summer. 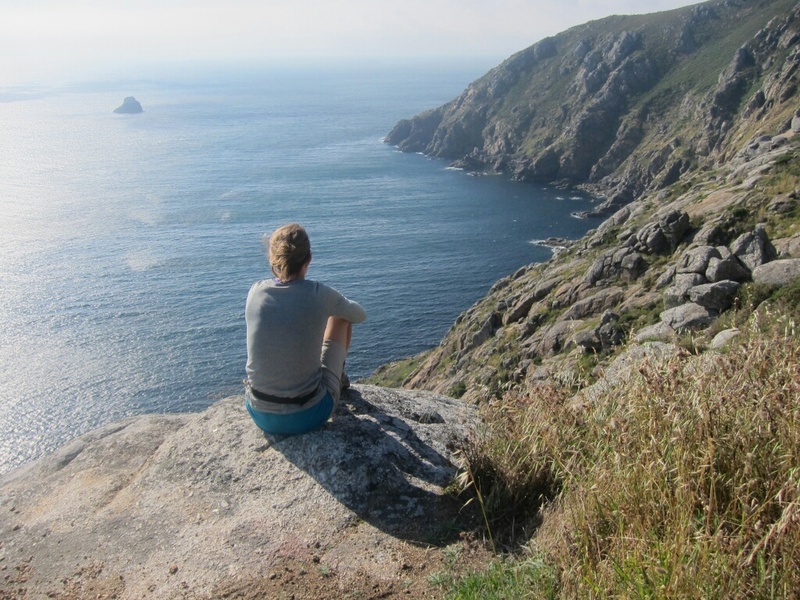 No sleeping in today because we were off to Finisterre, the end of the earth. 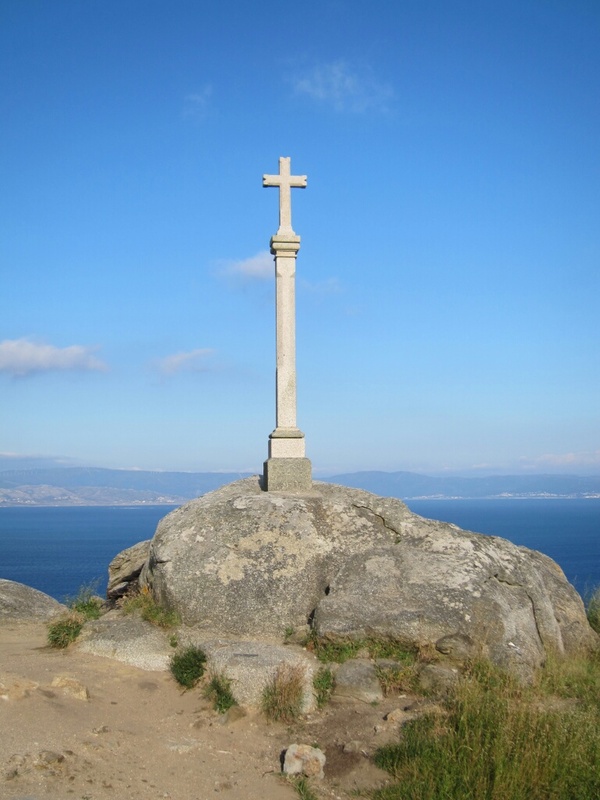 There are many pilgrims that walk the approximately 90 km from Santiago to Finisterre. It takes about 3 days and since we didn’t have the time or desire, we opted for the 2 hour bus ride. We got lost walking to the bus station and I feared we would miss the 9 am bus and have to wait an hour for the next one but we ended up getting there just in time. Something about being in a moving vehicle puts to me sleep but what I saw when I was awake was quite beautiful as we drove along the coast. It was quite hilly which made me feel for the pilgrims that did walk it. We arrived around 11 am and were lured by one of the many albergue owners when we got off the bus to check out his albergue. We really wanted a room with its own bathroom and when we saw that it did not, despite what he told us, we decided we needed to contemplate over drinks and food. We sat near the water and had sangria, a bowl of melted mozzarella cheese and pizza. 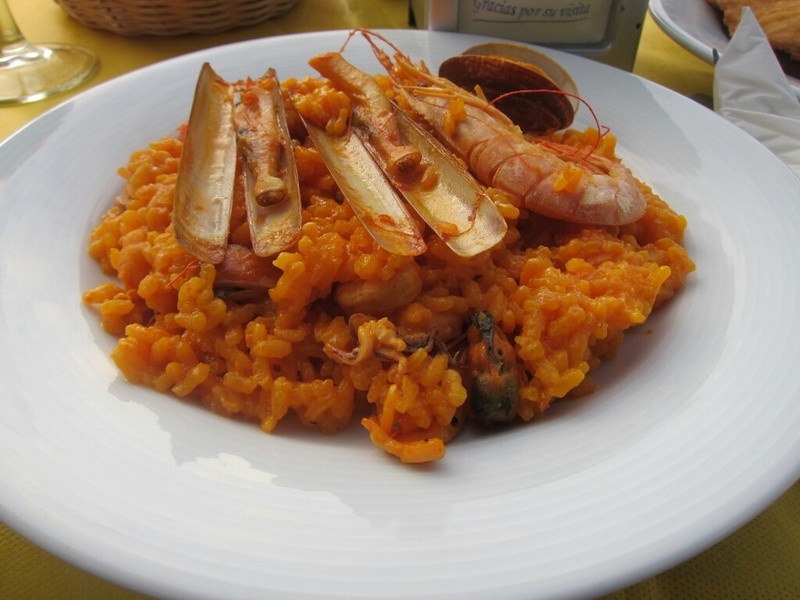 We then decided we’re rather stay in a hotel so we booked one online while we enjoyed the sun, sangria and food. The hotel ended up being a little further out than we realized but it was a nice walk along the beach. After getting settled in to our room and a quick nap, we ventured off on the 4 km walk to the lighthouse. It was mostly on the road and was a relatively easy walk. After checking out the area, we stopped in the bar for a drink. It was about 8:00 and we momentarily contemplated staying for sunset but the sun sets so late (10:30ish) and we were tired so we headed back towards town. As we walked back, we saw lots of people heading up to the lighthouse with bags of food and wine. We assume everyone was picnicking for sunset. The next day we found out from Robert from California that we could’ve taken a boat tour at sunset. Life is too short for regrets but if I was to have any regrets for this trip, that would be one of them, either not staying for sunset or not taking the boat cruise. Based on a few pictures that I saw from Robert, it was a beautiful sunset. We headed back to Santiago the next day on the noon bus and were back by 2ish. We checked back into the same hotel, only this time we ended up with rooms in the albergue part of the the hotel instead of the hotel rooms. We each got our own room and it was a bit cheaper than the hotel rooms but definitely not as nice. We had to be out the door by 4:30 am so we weren’t spending too much time in the room and it seemed appropriate to spend the last night in albergure style. We wandered around Santiago a bit more and then had some very excellent tapas for dinner with Robert from California and Katja from Germany. As we wandered around, we realized we didn’t recognize anyone anymore. A new batch of pilgrims arrived and most of our pilgrim friends were either home or on their way home. Katja had to catch a bus so we said good-bye and then got ice cream and wandered around a bit more with Robert. Since we had to be up early, we headed back to the hotel, but not without first running into Philip and Herman from Holland. With those good-byes and a good-bye to Robert, we called it a night. I’m writing this somewhere over the Atlantic, between Madrid and New York. And the video system is down….bummer! Perhaps I’ll spend some time contemplating and reflecting on the past 6 weeks. Or maybe I’ll just sleep. Jim and Laura from Buffalo and who stayed with us the first night in Orisson. It had only been a few days since we saw them. Ned from Austin. We haven’t caught up with his wife and daughter yet but we’re convinced we’ll see them in the airport since we met them in the Austin airport before we even left. It really is like a reunion. You just wander around the city and keep running into people. It just makes you smile. 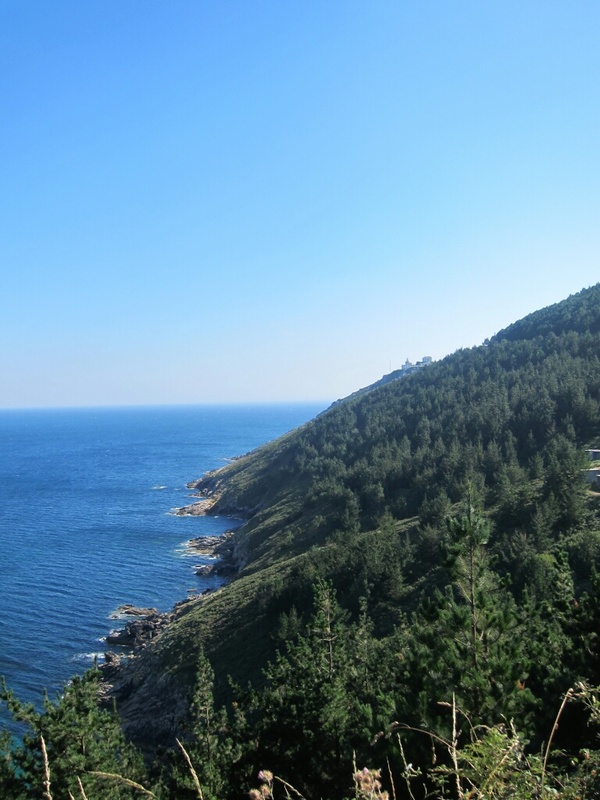 We had originally planned to go to Finisterre today but decided to wait until tomorrow because the weather looks nicer tomorrow. I’m very glad we waited because then we would’ve missed out on seeing everyone. It’s also a bit sad becauase everyone is starting to head home. 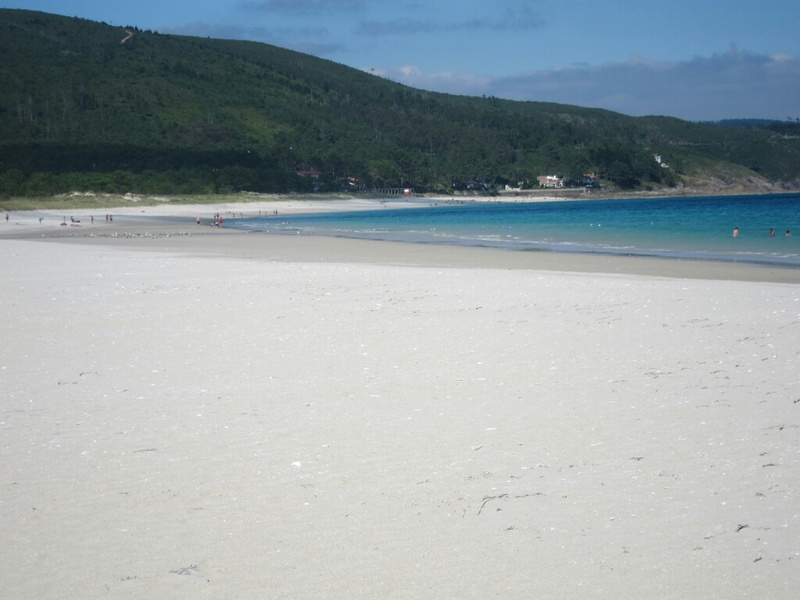 Tomorrow we head west to Finisterre (on the coast) by bus. There are many pilgrims that walk the 90 km but one, we don’t have the time and two, we don’t have the desire. We’ll happily enjoy being able to look out the window of the bus. 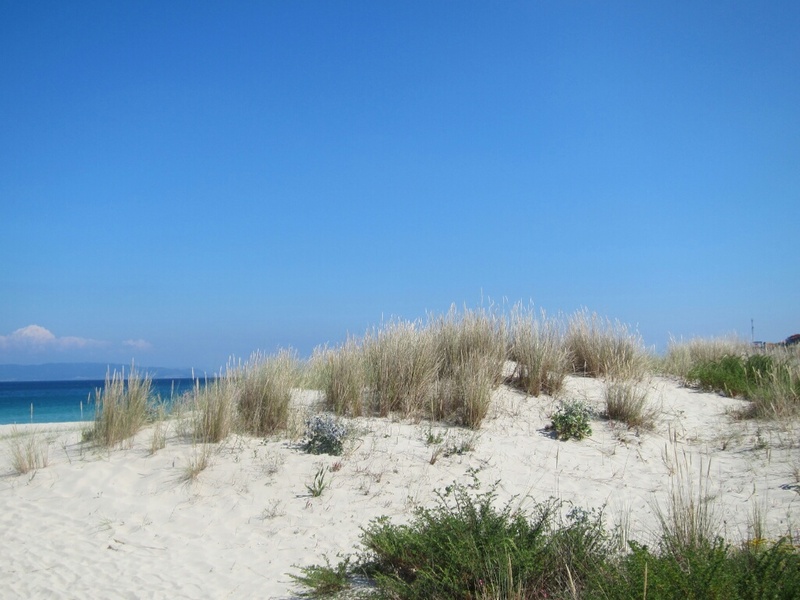 I’m looking forward to seeing the beach…it’s been too long!